Customers include Government departments and commercial organisations looking for methods of protecting documents against fraud and counterfeit. Presently manufacturing & distributing desktop security hologram application machines, MicroPOISE and POISE through thirty four distributors around the world. Manual and Automatic feeding of plastic cards. Also specialise in bespoke equipment to meet customers document processing requirements. 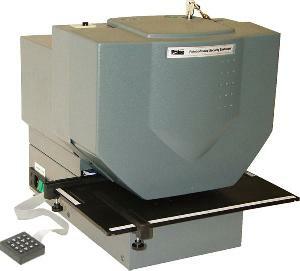 In addition we stock and distribute Bank note counting machines and counterfeit document inspection equipment. We are searching for new agents in Asia who are connected to the above markets and have expertise to sell and support our products.